Bridge 69, known as Pulpit or Armchair bridge, is on the West Coast Main Line's Northampton Loop and was built by the London & North Western Railway in 1877. Its site is close to the village of Watford in Northamptonshire. Its design was specified by the local peer Anthony Henley, 3rd Baron Henley of Chardstock (1825-1898), and it marks the point where the new line crossed the estate's famous North Ride, within sight of the north elevation of the family seat, Watford Court. Henley was the son of Robert Henley, 2nd Baron Henley. He succeeded his father as third Baron Henley in 1841 but, as this was an Irish peerage, it did not entitle him to a seat in the House of Lords. He was instead elected to the House of Commons as MP for Northampton in 1859 - a seat he held until 1874. Lord Henley married, firstly, Julia Emily Augusta, daughter of the Very Reverend John Peel, Dean of Worcester, in 1846. After her death in 1862, he married Clara Campbell Lucy, daughter of Joseph H S Jekyll, in 1870. Clara was the cousin of the as-yet-unknown garden designer Gertrude Jekyll. Pulpit bridge was built just seven years later and it is possible that the young Gertrude might have been consulted on the ornate design. 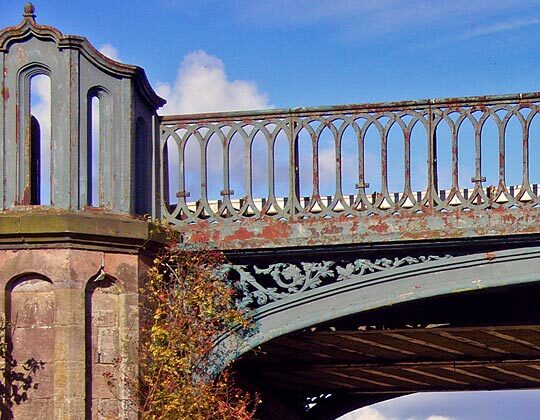 According to local people, the aim of the bridge's unusual look was to placate villagers who were upset by the coming of the railway and its resulting impact on the beautiful parkland thereabouts, as well as their religious observances. Its decorative ecclesiastical elements are attributed to the fact that the bridge was built very close to the spot on the North Ride where Rogation services were taken by the Lay Rector (Lord Henley). This apparently gave rise to the unique ‘pulpit’ features and 'ecclesiastical window’ echoes in the balustrade. In 1885, the Northington title held by Lord Henley's great grandfather was revived when he was created Baron Northington of Watford in the County of Northampton, in the peerage of the United Kingdom. This title gave him and the later Barons an automatic seat in the Lords. Pulpit bridge marked the point where trains would halt to take Lord Henley to London and his seat in Parliament, linking Watford with world affairs. He died aged 73 in November 1898 and was succeeded in his titles by eldest son Frederick. Lady Henley died in 1922. The bridge seems to have been created as a multi-purpose feature - partly an open-air church, partly a piece of railway infrastructure, partly a garden feature and partly a private railway halt. The design is believed to be unique and the ironwork still bears the monogram of the Henley family. In his book 'British Railway Bridges and Viaducts', Martin Smith states "...the ‘Armchair Bridge’ must rate as one of Britain’s more charismatic railway bridges. 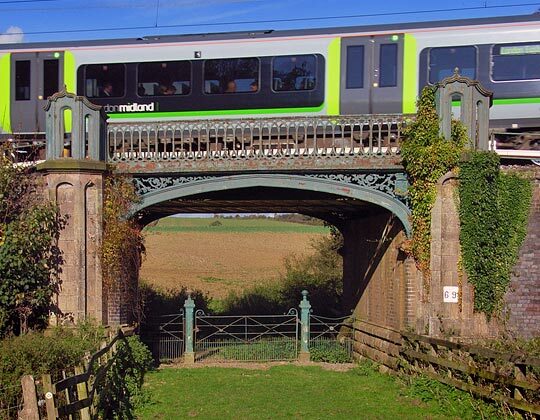 Situated ½ mile south of Watford Lodge, between Rugby and Long Buckby, it is officially known as ‘Bridge No. 69’, but the name was coined by railwaymen and positively stuck. An alternative nickname was the ‘Pulpit bridge’, local legend telling how clergymen used to preach to estate workers from it....It originally had some ornamental work in cast iron, but that deteriorated beyond repair and was removed in 1934. 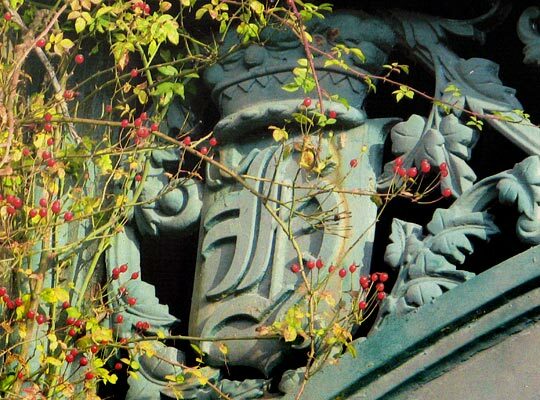 On the outside of the ‘armchairs’, the Henley family coat of arms was, for many years, finished in gilt paint."